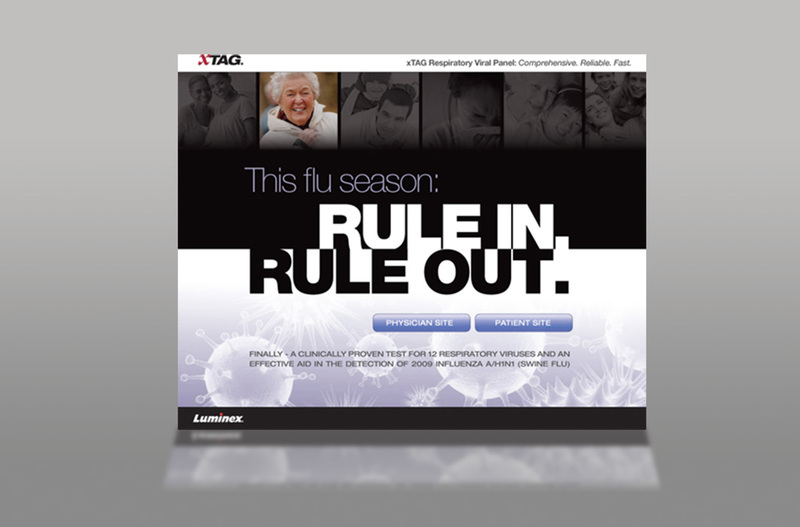 The uncertainty when trying to determine whether a patient had a cold or the flu had frustrated healthcare workers, parents and spouses for decades. 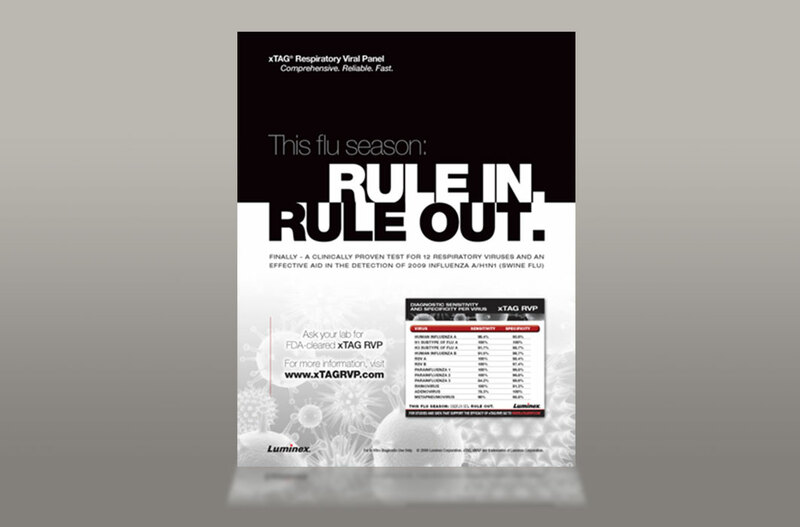 With the launch of a new respiratory viral panel, it would finally be possible to definitively rule out several viruses – including H1N1 (Swine Flu). 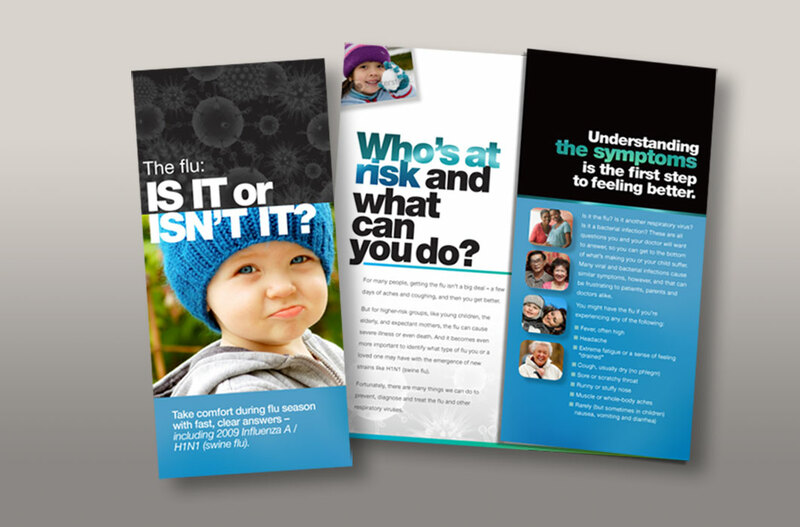 A fully integrated marketing campaign was developed to raise awareness during flu season, and included platform positioning, benefits branding, patient collateral, physician advertising and website design.